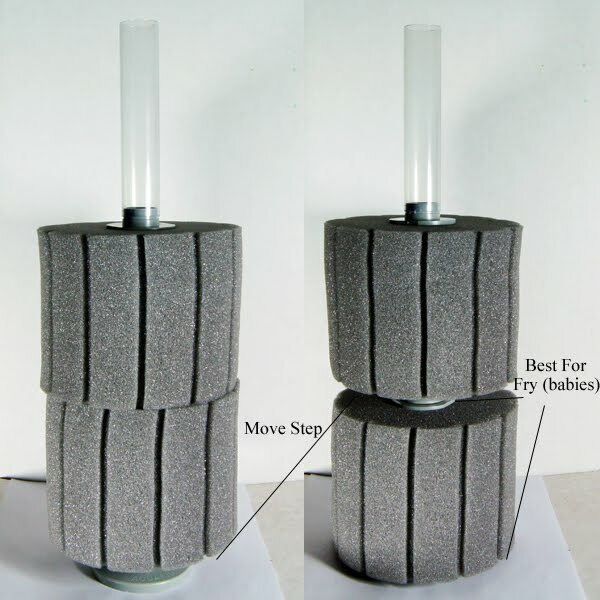 These Filters can be stack tightly for use in high bio load aquariums such as often "dirty" goldfish tanks. 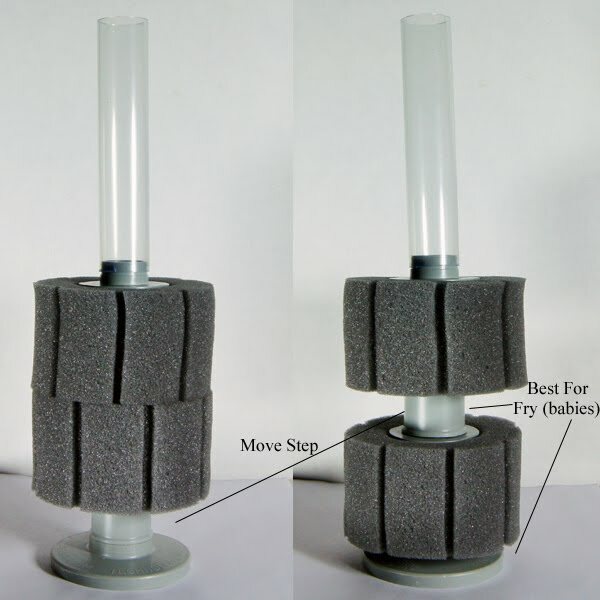 Or the "Step" can be used as a spacer to allow for gaps for fry/babies to hide in; this is recommended for breeder aquariums. 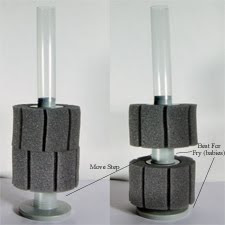 The First picture displays a Hydro Sponge #1 Stackable which is probably the most popular with breeders since many can be added for both added bio capacity, but also many places for fish fry to hide. 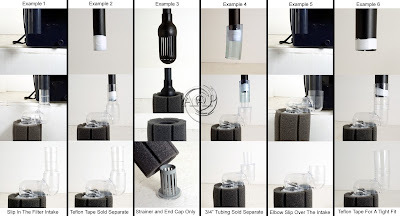 The second picture displays the Hydro Sponge #5 Stackable which can be used in large breeder tanks, but is best to add on to large high bio load aquariums. 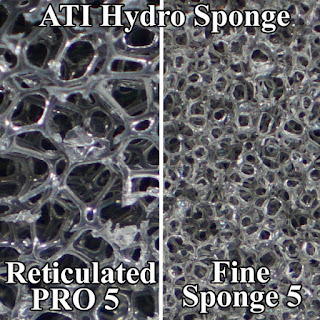 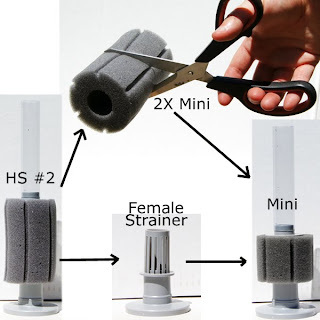 Since the #5 Stackable utilizes the standard patented Sponge material by ATI, it makes a great addition to Hydro Sponge #5 PRO in that it will provide more fine mechanical filtration as well as more "space" for nitrifying bacterial colonies. 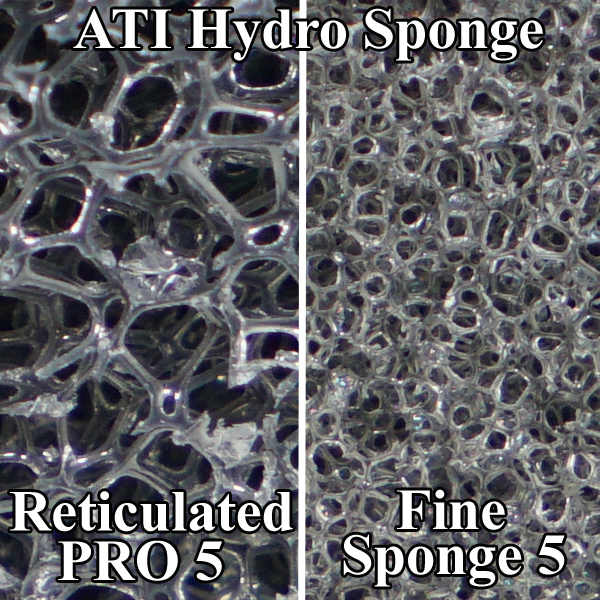 The only negative is that it will slow much quicker the the reticulated sponge material used by the #5 PRO, but this is over come be simply rinsing this sponge at more frequent intervals. 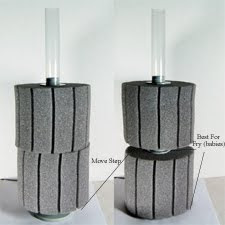 Since the use of stacking sponge filters often entails breeder aquariums or large aquarium systems with valuable specimens, I strongly urge those who utilize UV Sterilizers to maintain their UV Bulbs by changing these once per every six months for optimum effectiveness.